In order to display content from video sources (e.g. DVD players, game consoles, or computers) onto display devices (e.g. televisions, LCD screens or computer monitors), we make use of video display interfaces. 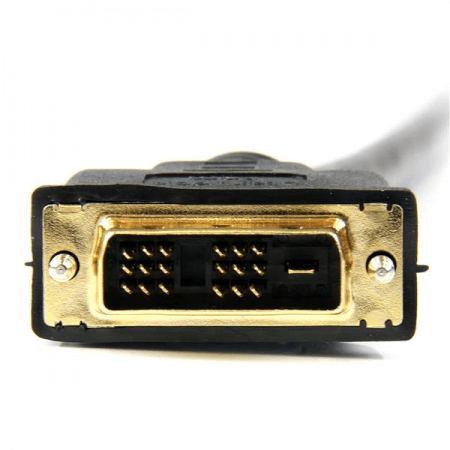 There are various types of interfaces such as VGA and HDMI, and one of these is DVI. DVI refers to Digital Visual Interface. It was developed by a consortium of big tech companies called Digital Display Working Group aimed at creating a standard for digital video content transfer. In this article, we are going to discuss DVI-D and DVI-I and how they differ from each other. DVI-D is the type of DVI interface that handles purely digital signals. The “D” at the end indicates “digital.” This interface type may support either single-link or dual-link. Single-link utilizes a single transmitter and can support screen resolutions of up to 1920 x 1200 and a bandwidth of 1.65 Gbps. It uses an interface of 18 pins for power, signal, and clock, and a long flat pin for ground. The second variety, the dual-link, adds another transmitter. There are six more data pins in the dual-link (also referred to as DVI-DL) increasing the screen resolution capability to 2560 x 1600 and providing a wider bandwidth of 2 Gbps. The dual-link cable or connector may be used for single-link devices since the connector carries all the pins required by the single-link interface. On the other hand, a single-link connector lacks some of the pins or physical connections required by the dual-link interface. 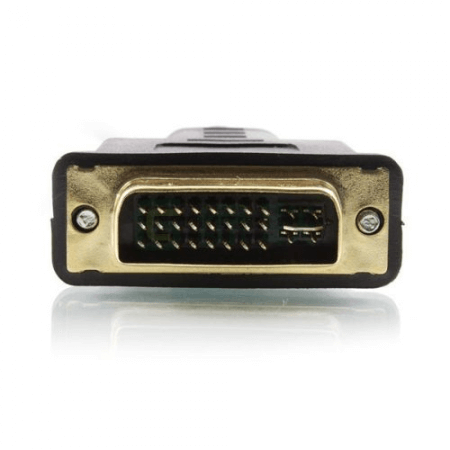 DVI-D is virtually compatible with another digital interface, HDMI, with a few exceptions such as the absence of support for audio signals in DVI-D. An adapter may be used to facilitate conversion between DVI-D and HDMI. DVI-I refers to the type of DVI interface that can carry both digital and analog video signals. The “I” at the end indicates “integrated.” Similar to DVI-D, it may either be single-link or dual-link. Its digital component uses the same pins as the DVI-D interface and shares the same electrical specifications. In addition to the digital component, DVI-I also carries an analog interface. This comes in the form of four additional pins adjacent to the flat ground pin. Although it has the capability to transmit both analog and digital data in one connector, it can only carry one type at any given time. The analog data component is compatible with VGA and requires only a passive device adapter to convert. VGA is the more prevalent connector type for analog video. Since the DVI-I carries additional pins, the male connector of a DVI-I cable cannot connect to a DVI-D female socket since it lacks holes for the additional pins. DVI supports a third type of interface, the DVI-A, referring to the interface that carries purely analog signal. DVI-A is not very common because of the dominance and success of VGA as the standard for analog display interface. So what is the difference between DVI-D and DVI-I? DVI-D carries purely digital video signals while DVI-I has the capability to handle both digital and analog signals. DVI-D uses 19 pins for the single-link variety and 25 pins for the dual-link. On the other hand, DVI-I uses 23 pins for the single-link and 29 pins for the dual-link. A DVI-D cable with a male connector will fit in a DVI-I female socket but will not be able to transmit the analog data. On the other hand, a DVI-I cable will not fit in a DVI-D socket. DVI-D is compatible with HDMI and may be converted using a simple adapter. In DVI-I, the digital component shares the same electrical specifications as DVI-D, and therefore is compatible with HDMI as well. The analog component of DVI-I is compatible with VGA and is converted using passive adapters. DVI-D is not compatible with VGA.